We have a special delight for you today, dear listeners! 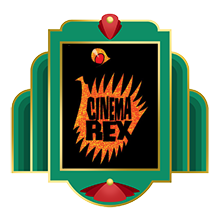 Today is the first day of CONvergence 2015, and so we have invited Eric Knight to talk about the 17 years he has spent running the incredible CONvergence movie room, Cinema Rex! CONvergence fans can hear about this year’s film selections (all dystopia themed) as well as learn about the history of the movie room. Those of you aren’t CONvergence nerds can also delight in learning about what goes into making the ultimate movie mixtape every year. If you would like to drink along with us, we recommend either Maipe Reserve Cabernet Sauvignon or The Show Malbec. Both served us well while recording.